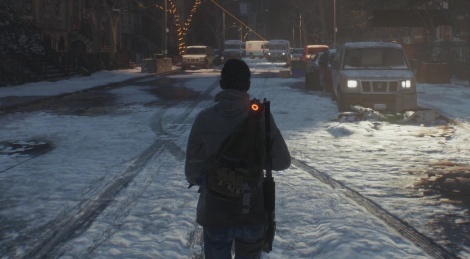 More Tom Clancy's The Division on Gamersyde with this time the PS4 version of the beta. Inside you'll find several extracts showing some cutscenes, some gunplay and of course some nice views of New York City. Played the beta for around 3 hours and graphically it looks way better than i thought. Very good textures, antialiasing,lighting, particle effects etc. Shadows are decent considering its an open world game and very little popping which is nice. Frame rate is very solid as well. Lot of people praising the graphics, so I'm curious to watch these videos to get a good idea about how it looks on the 4. Could be the best looking Open world game currently playable and all the effects on screen(snow, smoke,fire) makes it even better. Gameplay wise is good but im worried about the variety of the missions and enemies. Its so much shooting at the same looking enemies which gets boring after a whie. I don't know if im gonna buy it yet. I don't get the hype, it's a product from Ubisoft. 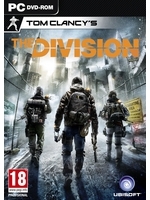 Ubisoft is just a publisher, Massive Entertainment are the makers. You should atleast give them a chance. You do realize that all Ubisoft games are made by different studios and each studio has their own culture? Massive, a swedish studio, existed long before they were acquired by Ubisoft. The only thing you can really blame on Ubisoft is marketing and what projects they greenlight. Given their lineup this year alone, it's extremely diverse. Just dismissing a game because it's published by Ubisoft seems very close minded to me. Played the Beta today for a couple of hours, Graphics were pretty average although now and then in the right lighting it lookks good but certainly noting like the E3 builds. Usual from Ubisoft. Clearly the Xbone One version looks a lot better graphically. Server Have Speed Problem Please Fix It. Why would you say the xbox version looks a lot better? They look the same to me. Can u give an example ? Does it help if he were to say that everything Ubisoft touches turns out half baked, incomplete or severely flawed anymore regardless of their participation? After playing this beta further...it is pretty fun. It add a lot of variety, since it has RPG elements. I'm also liking the story. I may have to re-pre order this. Actually it doesn't look as good. Doesn't look as smooth, more jaggies, some crushed blacks. This looks really bland to me, both in game play and visuals. LMAO That building in NYC #1 at 1:56 in the background is fake. It's cardboard. It's completely flat. They're all fake. It's a video game. What he means is that it appears to be missing sides, it is JUST a front wall. It does look strange, but maybe it has a triangular base and we're looking from an angle where the side wall is not visible.